Tesla Motor shares raised all time high on last Tuesday, after a brokerage firm set an all new target price, which indicates almost 50 percent rise in the shares from Monday’s closing price. The plant is already planning to go on-stream by 2017, which will again shore up Panasonic’s lithium-ion battery supplies to the US electric car maker. Recently, Tesla spokesperson shared their plans for building lithium-ion battery plant to the media, which is estimated to cut down the costs and would further allow the company to launch affordable electric car in 2017. However, no official announcements are done so far. In addition, Panasonic, the leading supplier for the company’s lithium-ion batteries could not be reached for any further comment about the future plans. As per the spokesperson, the US plant will be handling the processing of the raw materials to assembling them, will also produce small and light weight batteries for Tesla. According to the expert analysts, battery cost is one of the foremost reasons that have been acting as the primary stumbling block to the widespread electric car across the United States. Tesla’s new battery factory is looking forward by shifting material, module and pack production to one spot. The chief executive for Tesla, Elon Muck, in a conference cleared that Tesla is expecting to start the ‘giga’ factory with more than one partner, but as Panasonic currently partners with the company as long as the battery cells are concerned, is expected to continue the partnership with Tesla in the new ‘giga’ company. Musk also added that the factory is really there to support the growth of the third generation car. Along with the ‘giga’ factory, Tesla is also looking forward to have tooling and vehicle engineering done. So far, Tesla posted better-than-expected fourth quarter results and the delivery of the Model S electric sedan is expected to increase more than 55 percent. While pointing back to the shares, California based company, Palo Alto increased its share as much as 19 percent on Tuesday, also hits the all time high intraday trading price of $259.20, just as soon as Morgan Stanley raised its target price $320 from $153 per share. Analysts for Morgan Stanley are in favour of saying that the potential to cut the battery costs through higher sales volume possibly could double Tesla’s share of the global car market. However, Tesla remains to be the top pick for the US auto sector. 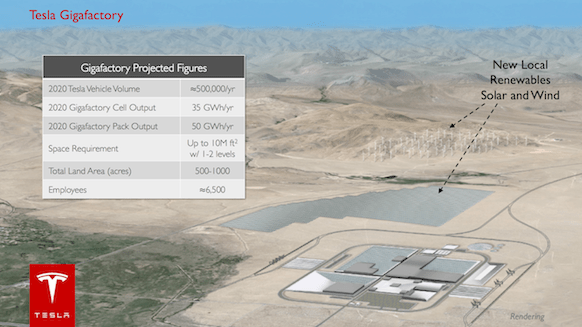 Critics and analysts believe, the ‘giga’ factory could be more than just an opportunity, as Tesla could possibly serve as an opening to supply the energy storage market. The company would take time definitely to gather the capital infusion of $5 billion or $6 billion. Gold Trending Down? Daily charts of Gold Charts(Dollar Denominated shows that Ichimoku Cloud resistance near 1225-1245 zone. Outlook for the Gold looks trending downwards in medium term.